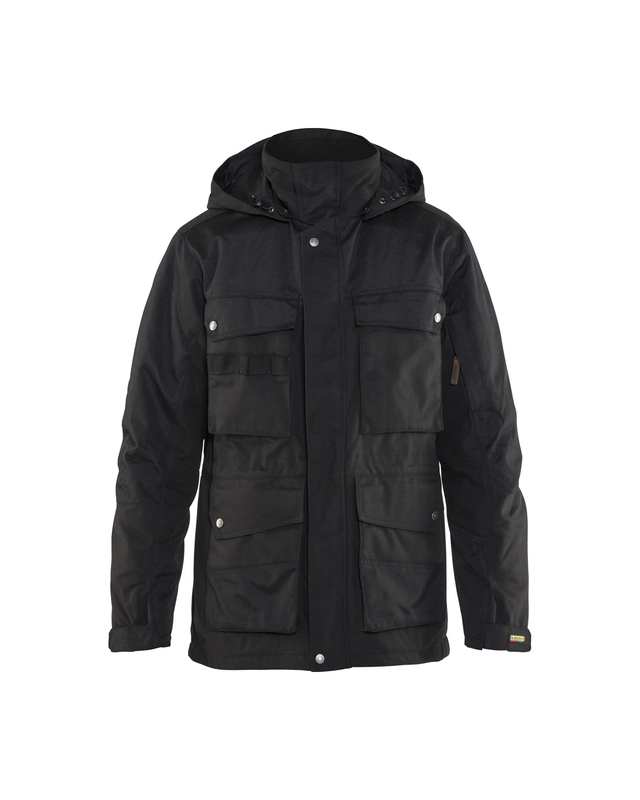 Thermal-lined winter parka that protects against cold, wintry and blustery conditions. The shell is water and dirt repellent. The parka is reinforced in exposed areas for increased wear resistance and durability. Front bellows pockets with flaps and fleece-lined side pockets. 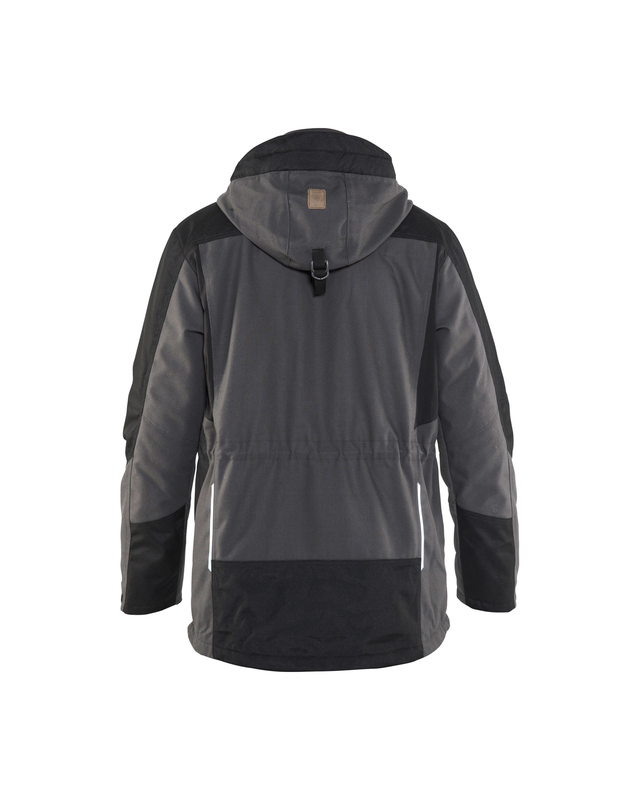 Detachable hood and drawstring waist and hem. Stretch panels in the back for better mobility. 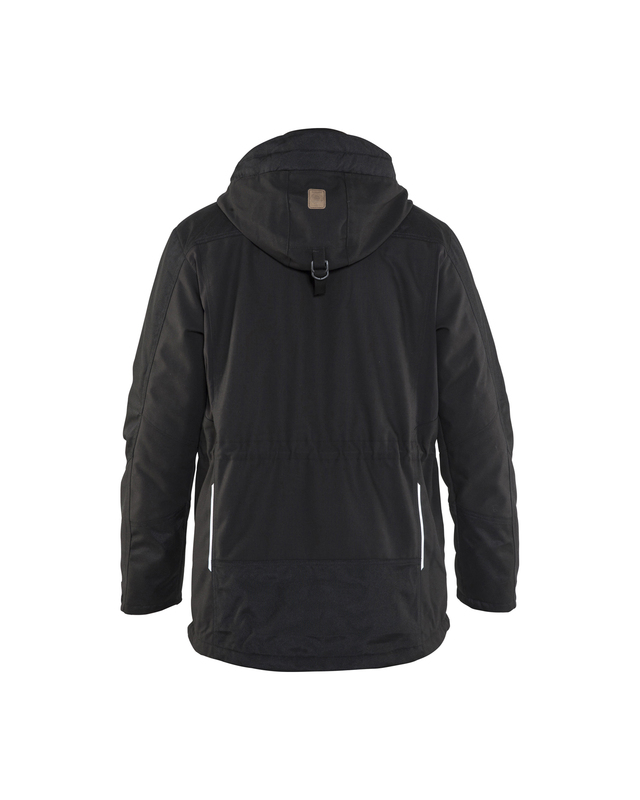 The main material has a water repellent finish.